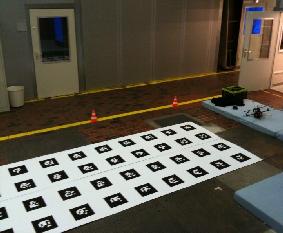 The large collections of datasets for researchers working on the Simultaneous Localization and Mapping problem are mostly collected from sensors such as wheel encoders and laser range finders mounted on ground robots. 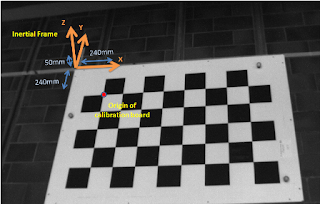 The recent growing interest in doing visual pose estimation with cameras mounted on micro-aerial vehicles however has made these datasets less useful. Here, we provide datasets collected from a sensor suite mounted on the “pelican” quadrotor platform in an indoor environment. Our sensor suite includes a forward looking camera, a downward looking camera, an inertial measurement unit and a Vicon system for groundtruth. 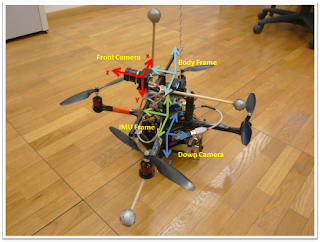 We propose the use our datasets as benchmarking tools for future works on visual pose estimation for micro-aerial vehicles. Five synchronized datasets - 1LoopDown, 2LoopsDown, 3LoopsDown, hoveringDown and randomFront are created. These datasets are collected from the quadrotor flying 1, 2 and 3 loop sequences, hovering within a space of approximately 1m x 1m x 1m, and flying randomly within the sight of the Vicon system. These datasets consist of images from the camera, accelerations, attitude rates, absolute angles and absolute headings from the IMU, and groundtruth from the Vicon system. Images from the first 4 datasets are from the downward looking camera and images from the last dataset are from the forward looking camera. Synchronized datasets for the calibrations of the forward and downward cameras are also provided. G. H. Lee, M. Achtelik, F. Fraundorfer, M. Pollefeys, and R. Siegwart, A Benchmarking Tool for MAV Visual Pose Estimation, International Conference on Control, Automation, Robotics and Vision (ICARCV'10), Singapore, December, 2010. 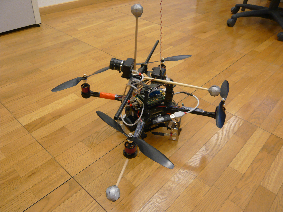 Note that the quadrotor frame (body frame) refers to the coordinate frame that we measure the Vicon readings. There is a separate IMU frame where the accelerations readings from the accelerometer are measured with respect to. The IMU frame is -4cm in the z-axis of the downward looking camera and it is taken to have the same orientation as the body frame. There is also an Inertial frame which is the fixed world frame. See the following figures for illustrations of these coordinate frames.